NEWPORT BEACH — The extensive dredging project that removed more than 600,000 cubic yards of sediment from Newport Bay, helping bring the harbor back to its original design depths, has earned the city a 2013 Golden Hub of Innovation Award and an honorable mention from the Association of California Cities Orange County (ACCOC). The city received an award for the Lower Newport Bay Dredging Project at a June 27 ceremony. 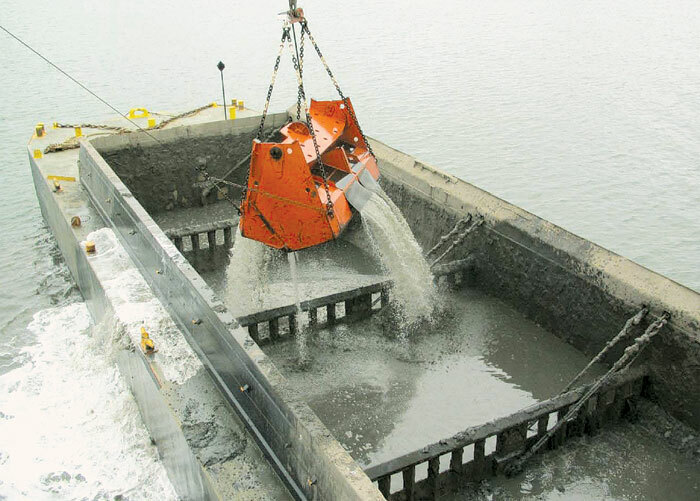 It was the largest, most comprehensive dredging project undertaken since the small-craft harbor was created in the 1930s, according to the city. The $10 million dredging project — a joint effort with the city, the Army Corps of Engineers and Orange County — resulted in a more navigable waterway, eliminating major shoals that had created hazards for years. “The recently completed bay dredging project was done at a savings of more than $10 million through our partnership with the Port of Long Beach,” Mayor Keith Curry said in a statement. City staff members initiated and completed sediment studies, sampling and analysis to determine appropriate disposal locations for the sediment — required to meet the requirements of the U.S. Environmental Protection Agency, the State Water Resources Control Board, the California Coastal Commission and the Corps of Engineers. The city entered into an agreement with the Port of Long Beach to barge more than 90,000 cubic yards of material deemed unsuitable for ocean disposal to the port, to be used as fill for its Middle Harbor Redevelopment Project. Timing the dredging project for tides, the port’s disposal needs and harbor activities was among the hardest tasks completed, according to the city. In addition, the city was instrumental in securing federal funding for the project, as well as providing more than $5 million in city funding toward the effort. The city was also recognized for the Arts and Cultural Facilities Program, which earned an honorable mention for its technology/e-government efforts to reduce paper-based workflows and implement web-accessible ways to view files and conduct city business. Since 2012, the ACCOC has presented cities with the Golden Hub of Innovation Award, to commend cities and other local governments for their efforts in developing and implementing innovative solutions to today’s challenges that result in measurable savings to taxpayers.